Now that Fall is in the air and the season has begun to wind down, we can assess what has been happening in the green industry merger & acquisition marketplace this year. It seems that uncertainties – uncertainty over the economic outlook, uncertainties about tax rates and uncertainties about the upcoming elections – have contributed to a more subdued acquisition environment than we might have otherwise expected. There does seems to be a good bit of interest among mid-size companies as both buyers and sellers. We see this trend increasing right now. For the most part, the big boys have been pretty quiet, with management changes possibly having some impact. We are featuring a couple of articles on acquisition strategy this month. We have just published a short new book entitled Charting a Course. For a limited time, you can download a PDF copy without cost. It is available for sale in various formats at the usual places. We are looking forward to the Green Industry Conference in Louisville October 24-26. We would welcome the opportunity to meet with you there. As always, if you are considering sellling or buying a green industry busienss – or beginning the exit planning process, we would welcome the opportunity to speak with you. Few business issues are as controversial as the role of business acquisitions in facilitating and stimulating business growth. There is a natural preference for so-called organic growth, growth that comes from the existing business without the benefit of acquisitions. In fact, organic growth is highly desirable, if it can be achieved at reasonable cost and within a reasonable timeframe. This is not always the case. Although it may seem somewhat counter-intuitive, sometimes acquisitions can be a more cost-effective and less risky strategy for generating business growth than relying on organic growth. That does not mean that growing by acquisitions is an easy process. It is not. Widely-reported statistics suggest that many acquisitions fail to deliver the expected value to the acquiring business. In fact, some acquisitions destroy value instead of building it. However, there is definitely a role in many businesses for acquisitions in accelerating growth, reaching critical mass, achieving market leadership and breaking through barriers to growth that arise at various points in a business’s life cycle. In the short new book, Charting a Course – Vivant Landscape Considers Acquisitions, Ron Edmonds tells the story of a mythical landscape services company, The Vivant Landscape Team, owned by a mythical owner, Philo Sanders, with a mythical management team. While Vivant has been incredibly successful in its first 10 years of operations, its owner believes that growth will be much more difficult in the future. Philo is a forward-thinking leader in the green industry, who has been considering ways to stimulate growth. One of the things he has done is to discuss the situation with the members of his peer group, a group of mostly like-minded green industry business owners in noncompetitive markets who meet regularly to learn from each other and hold each other accountable. In the story, Philo takes the idea of acquisitions to Vivant’s management team. The team brings a variety of perspectives to the possibility of an acquisition. Each member of the Vivant management team makes his or her pitch for the kind of acquisition he or she believes will be most beneficial for The Vivant Landscape Team. Using input from the management team, professional advisors and members of the peer group, Philo and his CFO develop a checklist for the preliminary evaluation of acquisition opportunities. We hope you will find their checklist helpful in your business. The book also includes an in-depth discussion of growth strategies for the green industry and how acquisitions can play a significant role in many situations. For a limited period of time, through October 15, Charting a Course is available for download PDF format without charge at www.chartingacourse.biz . Charting a Course is also available directly through the publisherand from Amazon.com in both print and Kindle editions. The Davey Tree Expert Company has acquired LandKeepers, LLC, of Woodstock, Ill., and will integrate its services into its Davey Resource Group Chicago operations. LandKeepers specializes in the preservation and stewardship of natural areas and high-quality habitats. Ruppert Landscape has acquired New River Landscape, a Raleigh, N.C.-based company, which provides commercial grounds management services. This is Ruppert’s second acquisition in the Raleigh area this year.  David J. Frank Landscape Contracting, Inc. has formed Lied’s-Frank Residential Landscapes, a division of the Germantown, Wisconsin,-based David J. Frank. David J. Frank is the largest landscape contractor in Wisconsin. Lied’s is also a venerable name in the green industry in Wisconsin, having served the landscape industry there for 67 years. Tom Lied will serve as president of the new division. While the structure and terms of the transaction have not been disclosed, the Milwaukee Journal Sentinel reported that Lied’s had experienced financial trouble as a result of the economy in recent years, including the results of overproducing nursery stock for the market. That trouble culminated in a foreclosure action earlier this year involving four of Lied’s properties . We will be attending the Professional Landcare Network’s Green Industry Conference in Louisville, Kentucky, October 24-26. We find this event to be the premier event of its kind and an outstanding opportunity for green industry business owners to learn and network, along with attending the giant GIE+Expo trade show. We hope you plan to attend. We would welcome the opportunity to meet with you during the conference. Just give us a call or shoot us an email to schedule a time to meet. John Warrillow, the bestselling author of Built to Sell: Creating a Business That Can Thrive Without You, will lead a one-hour presentation on building a sellable business. Built to Sell was ranked by both Inc and Fortune Magazine as one of the best business books of 2011. During this unique session, John will discuss the principles of increasing the value of your company – John will also take your questions directly. The webinar will be held Thursday, October 25, 2012 from 11:00 AM – 12:00 PM EDT. How does the proposed acquisition address the company’s strategic objectives? Is the acquisition big enough to justify the financial and managerial resources required to negotiate and close a transaction and develop and implement an effective transition plan? Does there appear to be a cultural fit between the company and the prospective target? Is there a high probability that the target company’s key employees can be retained after the acquisition? Is there a high probability that the target company’s customers can be retained after the acquisition? What impact will the proposed acquisition have on the company’s existing employees? What impact will the proposed acquisition have on the company’s existing customer base? Is it likely that the target company can be acquired at a valuation that is reasonable and is likely to produce a solid return on investment for the company? Are there any positive or negative trends in the potential target’s business or industry sector that should affect the company’s evaluation or level of interest in the acquisition? Are there obvious tax issues that should affect the company’s evaluation or level of interest in the acquisition? Does the company have the financial resources and strength to complete the proposed acquisition without compromising other operations and plans? Does the company have the human resources available to go through the due diligence, acquisition and integration processes? How does the proposed acquisition compare to other possible acquisitions or other investment opportunities in terms of anticipated return on investment and fit with the company’s strategic objectives? What new risks would the proposed acquisition expose the acquired company to?